That old “to-do” list has met its match! Finally a portable lift that is TRULY portable! This lift weighs just 350lbs and can be rolled into the bed of a pickup truck with just one man! Standing at 21′, the working height of the operator is at 25′ tall! That old chandelier need fixing? Ceiling fan need replaced? 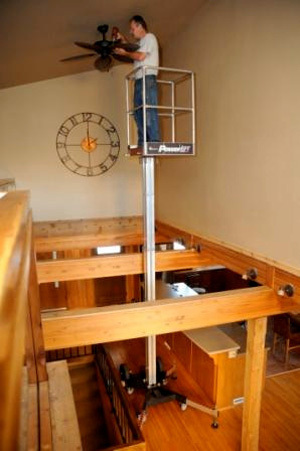 When high ceilings are an obstacle that a ladder just can’t reach, this REECHCRAFT portable Lift is the solution. 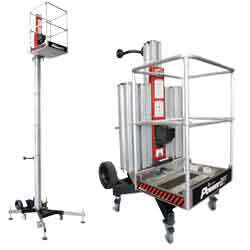 Ladders can be dangerous, but the REECHCRAFT portable lift is safe and stable. Four outriggers stabilize the lift, and corded or cordless drill powers the entire unit! Check out the video below!